Established in 1986 there have been many improvements in the way in which we process and deliver our firewood. An invested box system means we can supply clean and dry wood in a professional and reliable manner. The air is able to circulate round the boxes under cover in our barns. Once the firewood has been dried they can be cleanly poured onto a truck and swiftly delivery. We have developed many of our machinery to suit our needs and to ensure a fully efficient service. We made the decision in 2013 to invest in building ourselves a kiln barn to dry our logs to provide our customer with a more cost effective and cleaner product. Our kiln is powered by Biomass technology and fueled by the by-product from our sawmills. 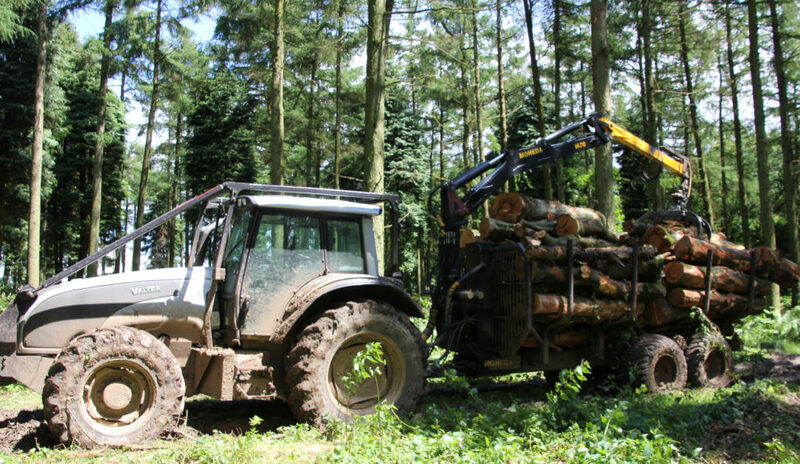 This environmental approach means nothing is wasted and it enables us to produce enough firewood to meet demand. All our logs are cut to approximately 9 inches long which is suitable for any open fire or woodburner. Each box will come with a selection of hardwoods of Oak, Ash and Beech. If you require anything different then please call as a box of firewood can be tailor made to suit your requirements. Once you have placed your order then Frank will call you up personally to make delivery arrangements and to confirm your order. You can place you order by phone on 07802 373399, email or by using the order form on this website.